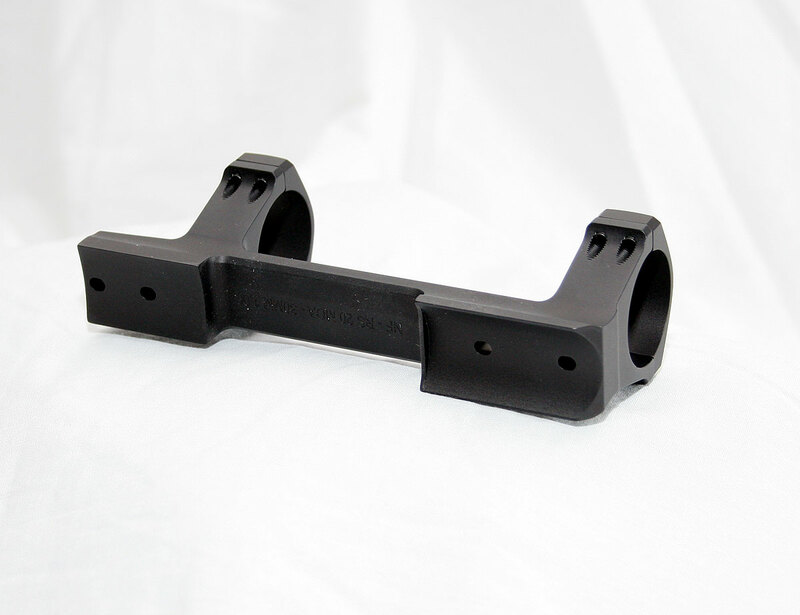 A simple, lightweight, and very durable mounting option from Nightforce. When putting together a Sniper Weapon System (SWS) for department, military or personal use, one of the primary concerns is to remove as many points of failure as possible. By doing this, it allows the system to be simplified and become more robust at the same time. For those that have used tactical long rifles for a period of time have no doubt become familiar with the ritual of insuring the the scope mounting rings and bases are tightened and secure. Many shooters and operators will use a dab of blue locktite or other products to keep their screws from coming lose over time. In the scope mounting process alone there are typically three potential places of failure. The screws that mount the base to the receiver, the cross-bolt that mounts a traditional ring to the rail, and then the screws on the ring caps that hold the scope. When we mention failure, we do not just mean that something breaks. More commonly, what fails is one ore more of the screws or nuts comes loose and the scope is no longer secure. One way to remove one of those points of possible failure is to build a ring and base combo that is a single unit. This is what Nightforce did with their “Direct Mount” series of scope mounting hardware. Nightforce has essentially combined the rings and the base into a single machined unit which removes the cross-bolt point of failure. The unit is a single piece of 7075-T6 aluminum. Without a catastrophic failure, the rings will not become separated from the base or become loose. The amount of force it would require to cause a catastrophic failure like that would no doubt be enough to destroy the scope as well. These direct mount setups are not new and several companies have made them in the past, but Nightforce is one of the few commonly known tactical scope makers today that is making them. We have been wanting to try one for a while to see how they worked, so we acquired one for a Remington 260 rifle we use here. 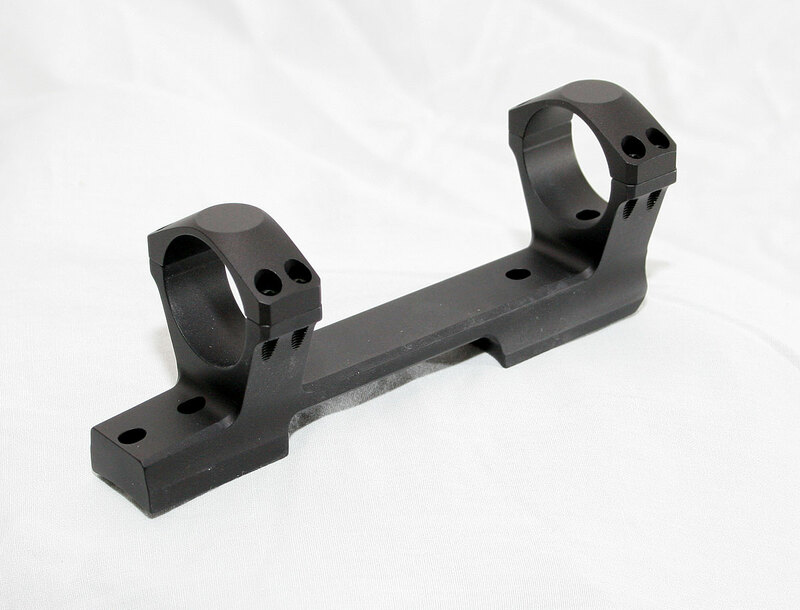 We planned to replace the existing Leupold Mark 4 rail and rings with this direct mount unit to see how it worked. The unit, obviously, has to be specifically designed for your rifle. Nightforce only makes them for Remington 700s in both long and short action at this point in time. They are also available only with a 30mm ring size and a few different ring heights. Currently your options are limited, but the Remington is by far the most common action spec on tactical rifles today so its not a bad choice. We ordered one with a 20 MOA taper to help get more up elevation from our scope. They are available with a 0 MOA taper as well. Nightforce is known for their high quality optics and their rings and bases are the same. That same quality was apparent on this direct mount unit as well. Everything is machined very precise with a bevel to all the edges and a nice uniform matte black anodizing over the entire unit. There is a recoil lip, or lug, machine into the rear of the forward portion of the base which rests just inside the forward part of the ejection port. Recoil lugs are not a necessity on bases, especially with a light recoiling rifle like the 260, but it doesn’t hurt and is another sign of quality and may be useful on the more powerful rifles. The direct mount unit fit the scope mounting screw holes on the action without any problem and were precisely aligned. We used just a dab of blue locktite on the provided mounting screws to help insure that the base screws do not come lose. This is done to try and minimize the chances of one of our two remaining points of failure from actually failing. Because the rings cannot be removed, it does make tightening the base mounting screws a bit awkward with the provided wrench. But it was not anything that was overly complex and we were able to get it mounted without issues. You will notice that the front screw actually goes through a screw hole in the elevated ring shoulder. Again, a bit awkward to tighten, but not a problem. We were mounting the same scope that was on the rifle, which is a first generation Burris XTR 3-12x50mm scope with 30mm tube. This scope has seen some prolonged use and there were existing scratches, ring marks, and other abuse from years of duty. So when you look at the scope pictures here on this page, be aware those marks were not caused by the Nightforce Direct mount, nor the previous Leupold Mark 4 rings. It is not a bad idea to also use some locktite (blue only) on the ring caps to help with the second possible point of failure. But we elected not to use the locktite as we routinely re-torque them (25 inch pounds) and sometimes swap out scopes for testing. One of the other positive attributes with a single machined unit like this is that if done correctly, and Nightforce’s quality insured it was done correctly, the rings will be perfectly aligned. This eliminates the potential of ring marks and insures there is no damage to the scope tube. Not only is the direct mount extremely durable by combining the rings and base into one, but it also has the added benefit of reducing weight. This weight reduction is possible because the single unit design allows the removal of the cross-bolts and extra metal that goes into a ring design for those cross-bolts. The overall length can also be reduced in length to the minimum possible as there is no longer the requirement to be able to mount the rings forward or back to accommodate the scope mounting. Because of the simpler engineering and less hardware needed, the price of the direct mount is also cheaper than purchasing a rail and rings separate. But there are also a few downsides to the direct mount unit as well. There are not a lot of options available, from Nightforce it has to be a Remington and a 30mm scope tube. 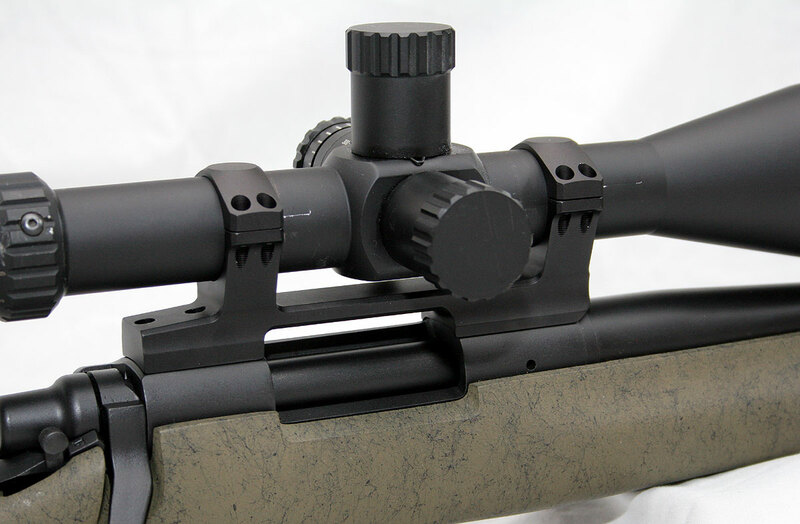 There is also a limited amount of scope mounting options in terms of the ring placement. 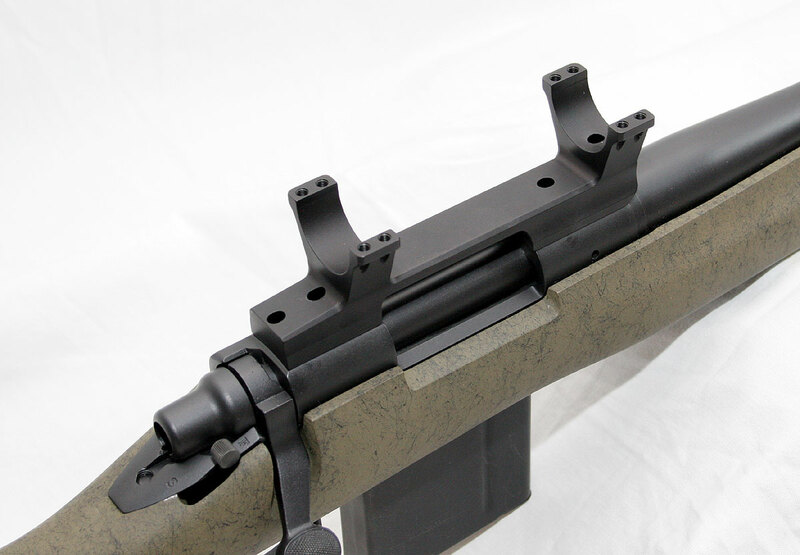 With a rail, the rings can be moved forward or backward to fit the scope and its mounting area. Here, the rings are fixed. Trying to mount a short scope with limited mounting area like a Leupold Mark 4 4.5-14x50mm on a long action, might be tight. The other limitation is that once the scope is mounted, it is more permanent than using a picatinny rail and traditional tactical rings. A scope mounted in that traditional way can be removed and put on another rifle in a matter of seconds using a T-Handle torque wrench. That is not the case with a direct mount unit. So what is the final verdict? It is not bad at all and is very capable for tactical use. If you are looking for a permanent mounting solution and there is a Direct Mount option that will work on your rifle and scope combo, it is worth exploring. The lighter weight combined with less points of failure and more durable overall design are very positive traits. The quality is very high on the Nightforce unit and it worked well on this test rifle. The aluminum used is a higher quality and harder aluminum and should hold up very well to tactical use. I wouldn’t mind seeing a steel option, but I would not hesitate using these because of the metal choice. The cheaper cost is not bad as well. Like everything on a tactical rifle, it is a compromise. But if it fits your needs, do not hesitate to use one.